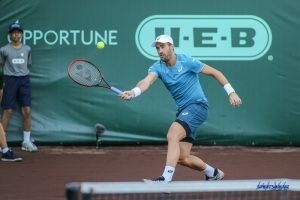 Steve Johnson became the first player to win the Men’s Clay Court Championship at River Oaks Country Club in Houston, TX back to back since Andy Roddick in 2001-02. Johnson defeated fellow American Tennys Sandgren 7-6, 2-6, 6-4 in the final for his 3rd career title. A record 15 Americans started the tournament, Johnson defeated 5 straight Americans en route to the title. This was the first career ATP final for Sandgren, who played his first ATP match at this event last year. With the run to the final, Sandgren is expected to rise into the top-50 ranking for the first time.